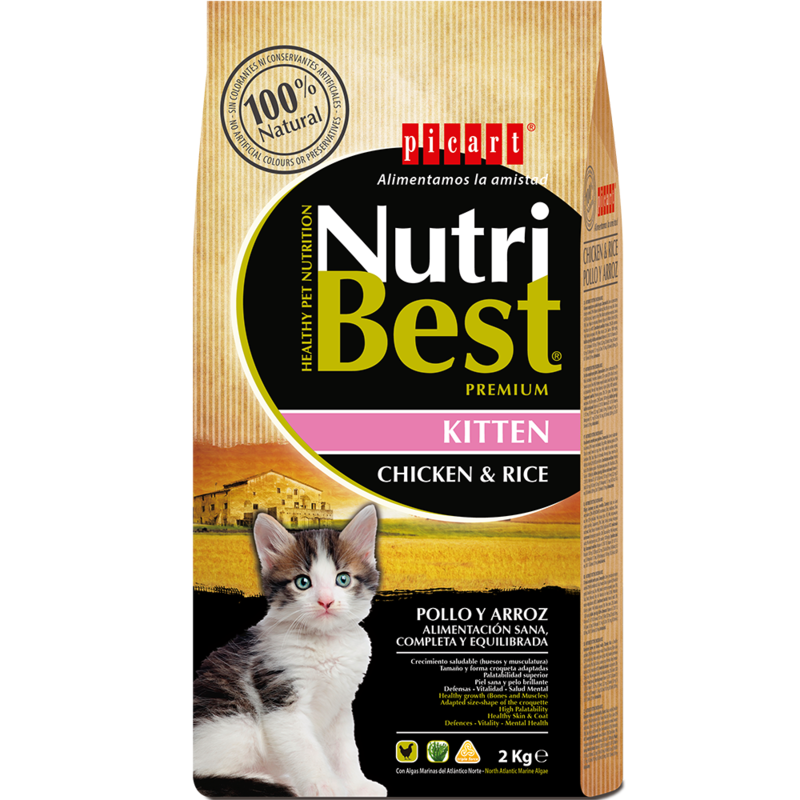 Complete and balanced pet-food, with chicken and rice, for kittens of all breeds until 12 months. It is also indicated for pregnant mothers or lacting females. 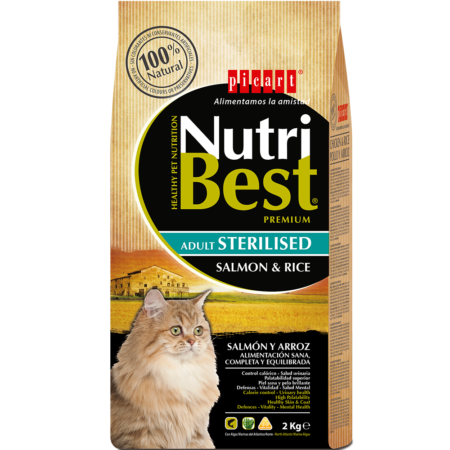 NutriBest Cat Kitten is a Premium pet-food especially devised by our experts in nutrition and vets so that your kitten can enjoy optimum health. 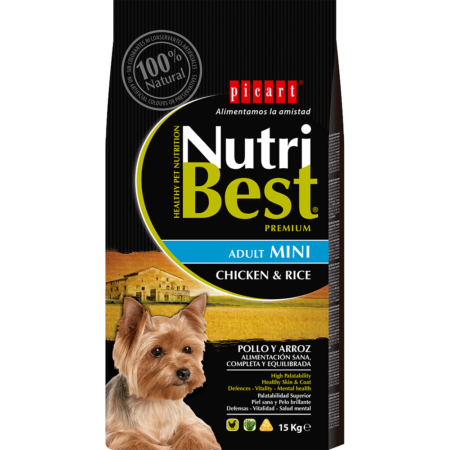 It contains Marine Algae from the North Atlantic for healthy and cared for coat and skin. The croquette size is adapted to its little jaw. 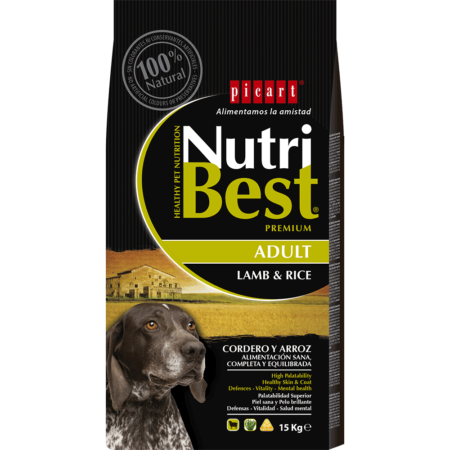 High protein contents that favour the muscle development and a proper bone growth. 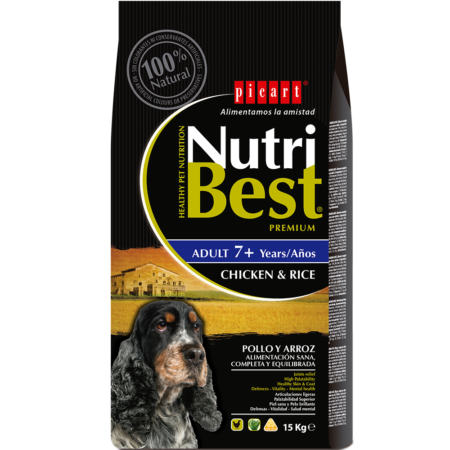 Meat and animal by-products (29% Chicken meal); Wheat; Maize; Oils and fats (0.5% Fish oil); Wheat middlings; Rice (4%); Vegetable protein isolate; Yeasts (3%); Soia; Beet pulp; Minerals; Algae from North Atlantic (0.5%); Prebiotic MOS. Crude protein: 32%, Oils & fats: 14%, Inorganic matter: 8%, Crude fibres: 2.2%, Taurine: 1,000 mg/kg.